YAMBA-bred second-rower Kane Douglas had his World Cup final dreams cut agonisingly short yesterday after the Wallaby was taken from the field with a knee injury in the 15th minute. Douglas injured his knee when he was lifted to receive a restart kick-off. The second-rower's knee sickeningly buckled under the weight of his body. 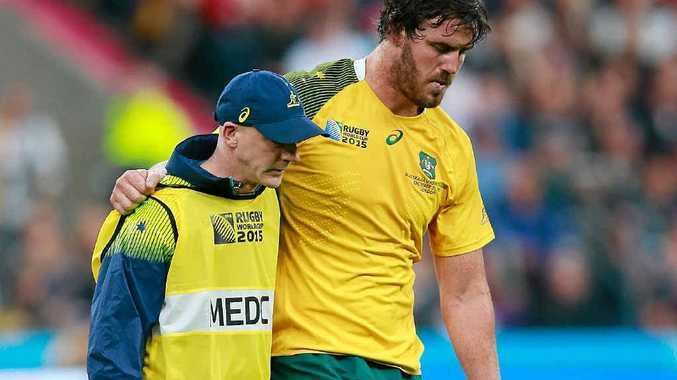 He was helped from the field immediately by Wallabies' medical personnel. Douglas had been a standout for the Australian side throughout the tournament, racking up a tackle count that was invaluable for his teammates. The Wallabies struggled in Douglas's absence with the All Blacks dominating in the ruck area, turning over several easy possessions. Douglas's absence from the field also saw the Wallabies lose a lineout jumper, which proved extremely costly as the final progressed. But Wallabies captain Stephen Moore was quick to extinguish any claims of mitigating factors in his side's loss which also saw the early withdrawal of centre Matt Giteau from injury. "No excuses for us tonight. It's a World Cup final, so you deal with that stuff," he said. "What I am proud of is the effort we showed right through the 80 minutes. Sometimes you come up against a better team and that was us tonight, they thoroughly deserve everything they get." Yamba Buccaneers captain Lee Everett said the whole club was proud of the efforts of their former clubman Douglas. 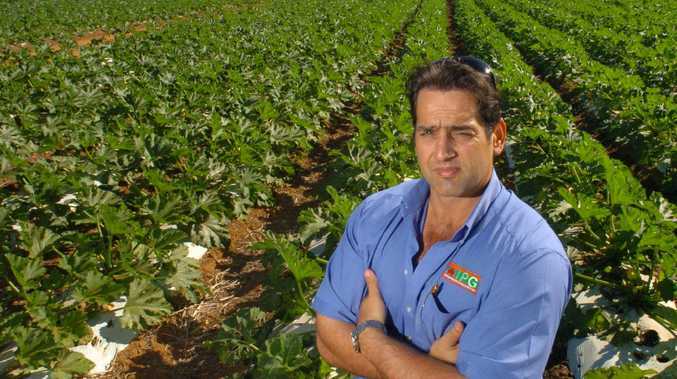 "It is great to think that he started off playing park footy in Yamba and has now played in the biggest rugby game in the world," he said. "I just hope it inspires some of the young kids around Yamba to get into rugby to follow in Kane's footsteps."